It’s that time of year again to make resolutions we can’t keep. Wait, maybe that’s a bit harsh. It’s that time of year again to make positive changes with incredible new year resolutions! Okay, truth be told, success is sitting somewhere in the middle of the two. Seeing in a new year should encourage positive new changes, but it’s very easy to revert to old habits. When we come up with resolutions they shouldn’t just be things we think we should do, but things we want to. That way those resolutions can be changes that we can really stick to. And the same can apply to children. It can be quite tricky to teach the concept of resolutions, but turning them into wishes suddenly make them a bit more fun (and child-friendly). And making the wishes visual will help you literally keep an eye on them and remind you of the changes you want to make. 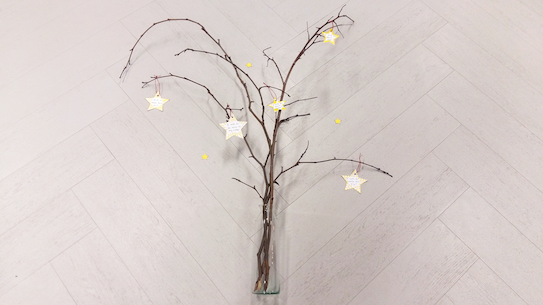 So we came up with this very cute wishing tree for 2018. On a crisp morning between Christmas and New Year’s Day you can take a family walk, pick up some sticks and thin branches, and then retreat back to your cosy home to write out your wishes and get them up on display. 1 Time to gather the branches for your wishing tree! 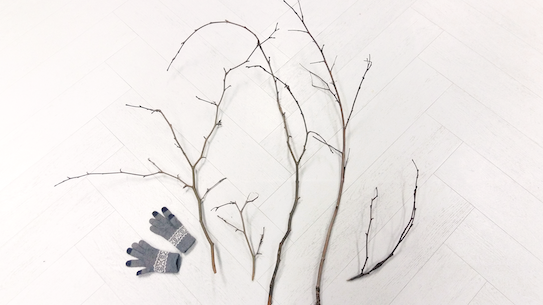 Wrap up warm and go on a family walk to find 5-10 small branches or twigs from the floor. 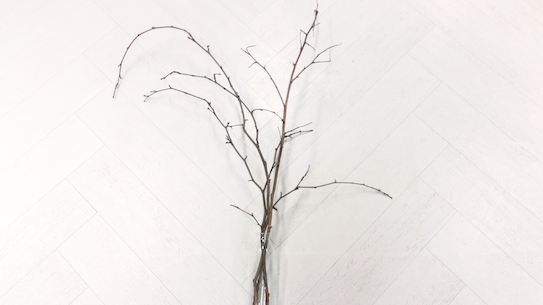 2 Place the branches like a bouquet in your empty jam jar or vase to make the tree. 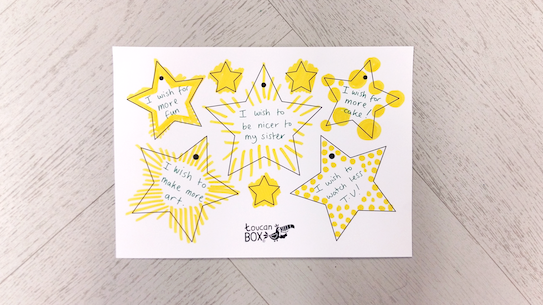 3 Print out the wishing tree template or draw your own stars on a piece of paper or card. Use the star shapes to write down your wishes for the year ahead. Where would you like to go? What would you like to learn to do? 4 Use colouring materials to decorate your stars and carefully cut them out. 5 Thread a piece of string through each star. You may need to use a needle to piece the star, or alternatively you could punch a hole and thread the string by hand. Tie a loop and hang your wish onto one of the branches of your tree. See how many of your wishes you can make come true in 2018! …And the world. We’d love to see your crafty masterpieces. Share them on Facebook, Instagram, Pinterest and Twitter. Add #toucanBox.